GRANITE ISLAND, MI – A small, rocky island in Lake Superior known for getting hit with some wicked waves is the latest place NASA is using to gather data on Earth’s radiation. And the information being churned out on Granite Island will end up being used in classrooms by college students nearby. The U.S. space agency this summer is teaming up with Northern Michigan University in Marquette to install equipment as part of the Clouds and the Earth Radiant Energy System experiment. 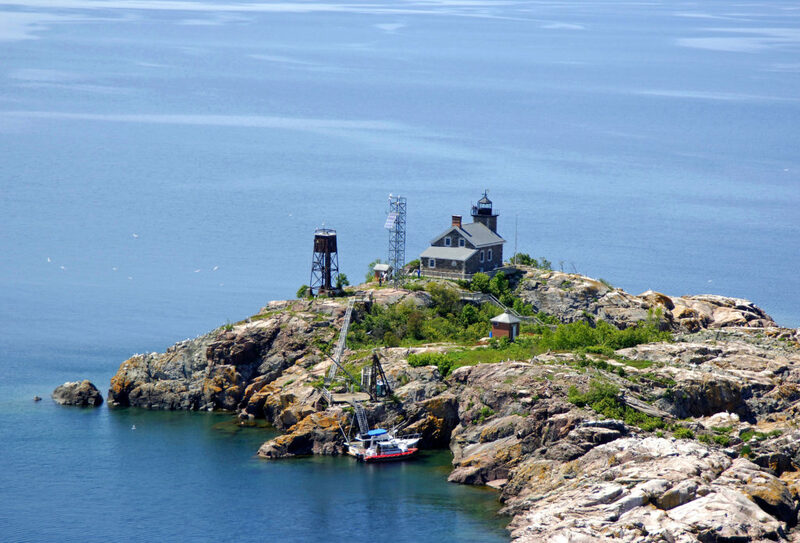 The 2.5-acre island and its lighthouse sit 12 miles northwest of Marquette. NASA has been using satellites to measure the Earth’s radiation for more than 30 years, but collecting ground data helps validate the information, according to the Associated Press. The data collected on Granite Island should help researchers better understand the role of clouds and the energy cycle as it relates to climate change, NMU said in a recent synopsis of the partnership. “We want to know what’s taking place in layers, from the top of the atmosphere to the Earth’s surface, so clouds can be better modeled in computer programs used to predict climate forecasts,” Fred Denn, research scientist with contractor Science Systems and Applications Inc. of Hampton, Va., told NMU. Granite Island’s location – surrounded by deep water and perched far from land – makes it a good spot to collect the readings. The instruments are measuring things like short-wave radiation reflected from the sun, longer-wave infrared radiation, and aerosol particles in the air. “It’s an interesting project that has cutting-edge research,” NMU alumnus and trustee Scott Holman, who owns the island and agreed to host the NASA instruments there, told the university. “One of the criteria for any research project on Granite Island is that it has to involve NMU faculty and students. Granite Island is no stranger to housing equipment. For the last nine years, it has been a home base for meteorological research equipment donated by Holman to NMU. That setup measures evaporation rates on Lake Superior. It’s one of only six sites compiling the data as part of the Great Lakes Evaporation Network. “Granite Island was selected as a CERES site based on its over-water location, as well as the available infrastructure, power and internet at the island,” John Lenters, NMU research associate and owner of Lentic Environmental Services, said in the university’s report. “The potential added benefit of weather monitoring equipment that had been installed at the island previously as part of the Great Lakes Evaporation Network also appealed to NASA.